Cayman’s annual celebration of all things sip-worthy returns this month with a jam-packed program of tastings, tours and parties. Now in its fifth year, Cayman Cocktail Week runs from October 20 – 27 and there’s something happening every single day. The celebrations kick off with a Great Gatsby-themed opening party at the Backroom – think live Jazz, Prohibition-era cocktails and flapper dresses. The Westin has a Margarita pop-up bar this same evening in the lobby bar. Using handcrafted, ultra-premium Patron tequila, the classic concoction will be priced at just $5 and served right in time for sunset. 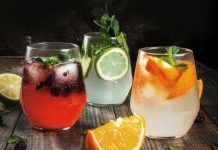 To help with the hangover on Saturday, Craft F&B Co. is hosting a make-your-own Caesar bar: Ketel One vodka, clamato juice, hot sauce and Worcestershire sauce, served with ice in a large, celery salt-rimmed glass. 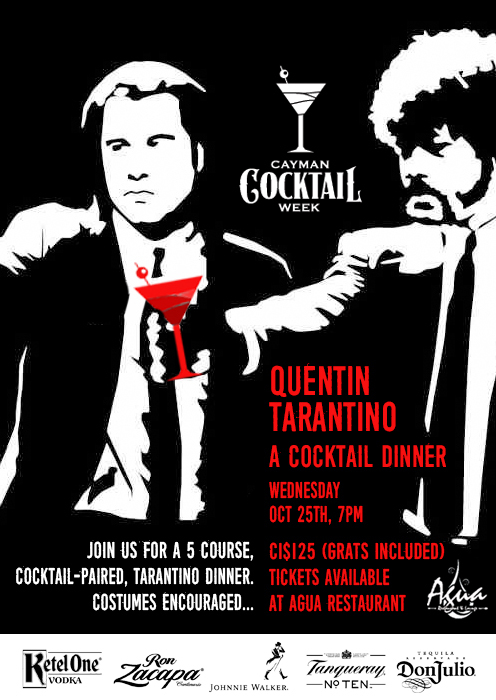 Agua looks to cinema for its inspiration this year, creating a five-course, cocktail-paired dinner menu around the films of Quentin Tarantino. We can’t wait to see how the likes of Pulp Fiction, Reservoir Dogs and Kill Bill are translated by Agua’s expert mixologists. An ‘Agave to Glass’ event at the Ritz-Carlton stars the Master Distiller of Don Julio, Enrique de Colsa. This will be a great chance to speak to one of the most legendary distillers in the world of Tequila, sample the whole range of Don Julio paired with small taste bites by the Ritz chefs, and try your hand at a Margarita and Paloma station. The organizers also promise a few little gifts to take away at the end of the night. Cayman Cocktail Week concludes with a Don Julio cocktail cruise. Hop abaord the sail boat from Camana Bay and let the Dia de los Muertos festa begin. 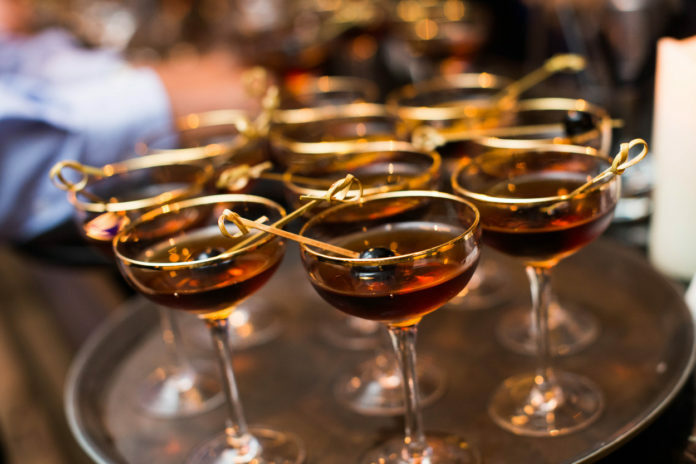 With Cayman Cocktail Week’s James Bond-inspired bar tour already sold out for the Monday night, you’d better sign up quickly for any ticketed events that appeal. Even for those off-island for the week itself, branded cocktail menus will be available throughout the whole of October in many bars and restaurants. 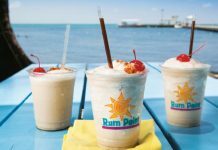 Get a great deal on a cocktail you might not normally order, created by some of Cayman’s best bartenders.